The man who pioneered the Lake District’s daily winter weather reports revealed the service relied on a pocketful of 10p pieces when it began. Alistair Boston had to search out the nearest phonebox to send in his reports after climbing England’s third-highest mountain. 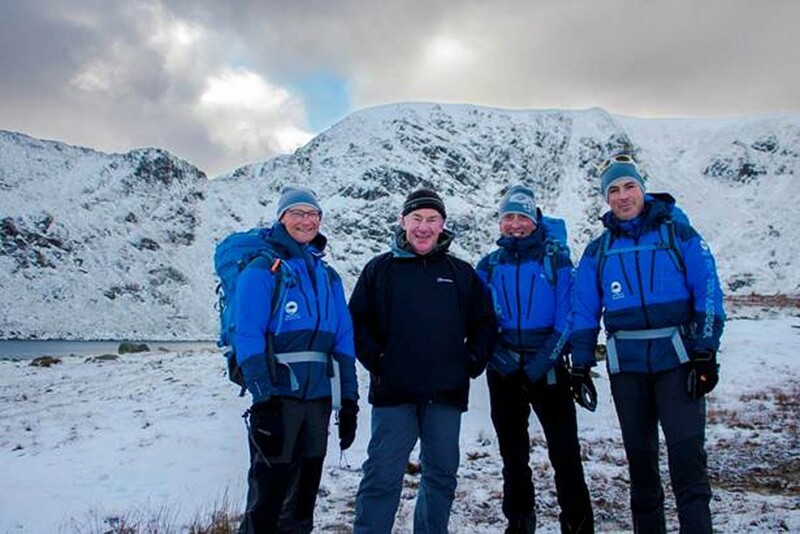 Mr Boston joined the three current felltop assessors as the Weatherline began its winter season. Each day, one of the three men will make the ascent of Helvellyn to provide reports of the weather and ground conditions for outdoor enthusiasts. This year, the service is marking its 30-year-milestone, with its assessors having reached the summit of the 950m (3,117ft) mountain 4,500 times in their efforts to provide information to keep walkers safe. The Lake District authority said the job is viewed by many as one of the most bizarre in the country. Mr Boston said: “To say the job was unheard of at that time is an understatement. It was a revolutionary way to keep walkers safe in the Lake District. The authority said the service is vital in keeping walkers safe as the number of perceived ‘avoidable’ call outs to the local mountain rescue teams continues to rise. The role is currently shared by three mountaineers: Graham Uney, new recruit Zac Poulton and the longest-standing felltop assessor Jon Bennett, who is celebrating a milestone of his own this year, seeing in his 10th season. Mr Bennett said: “It’s great to have a part to play in keeping walkers in the Lake District safe, not only through our reports but also the many people we pass on our daily summit trek. Zac Poulton is the newest Weatherline recruit embarking on his first season this year. He is a specialist in winter safety, having tackled the most extreme environments including the South Pole and Everest, and he will support in the delivery of the Lake District winter skills courses this year too, teaching people how to use ice axe and crampons. The Weatherline felltop assessors’ service runs from 1 December until Easter 2018. The golden rule: if in doubt, turn back. The assessors’ main sponsor is Mountain Hardwear who are kitting out the team for the season. Rhys Henderson of the brand said: “The felltop assessors have to be out in the most arduous conditions, with ascents of Helvellyn and the surrounding hills part of their daily routine. Details of the winter skills courses are available on the Weatherline website. Petzl has provided ice-axes, crampons and helmets for the assessors and those taking part in the courses. UK brand manager at Petzl Martin Bergerud said: “The winter skills courses empower walkers to tackle peaks in all weather conditions, but to do that you must have the correct equipment.